← Don't Cry for Me, Doctor Tina? Elizabeth’s breast cancer had already spread to her bones and was now invading lymph nodes in her right armpit, causing painful swelling that kept her up at night. Today, however, as she walked into her oncologist’s office, Elizabeth felt like things were under control. “All right, so how is your arm?” the oncologist asked. The oncologist could see that her arm was getting worse. 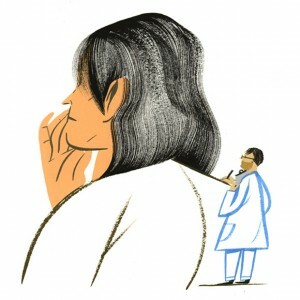 “I think those lymph nodes have gotten a little bigger, haven’t they?” he asked. 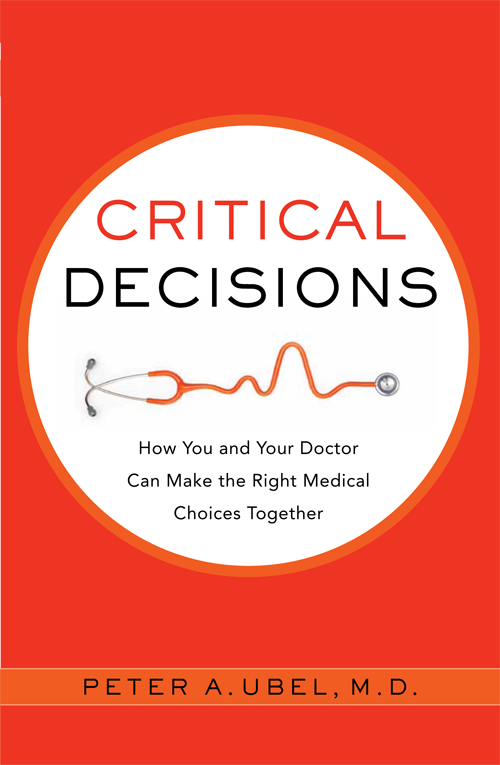 This entry was posted in Critical Decisions, Medical Decision Making and tagged doctor-patient communication. Bookmark the permalink.